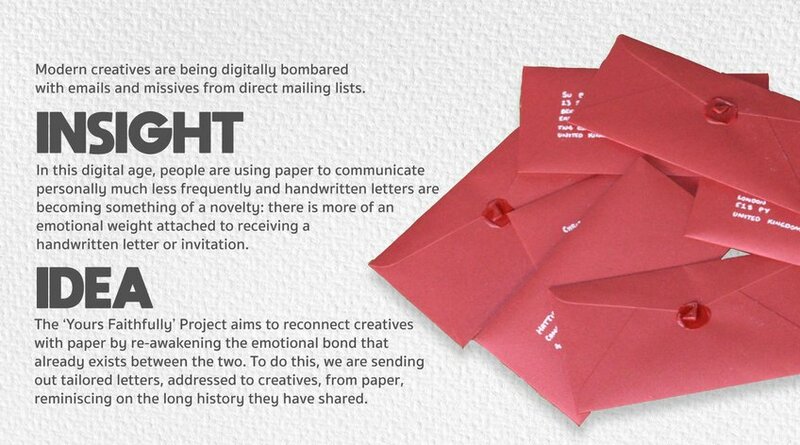 The explosion of technology has elicited strong doubts about paper's place on a creative's desk. 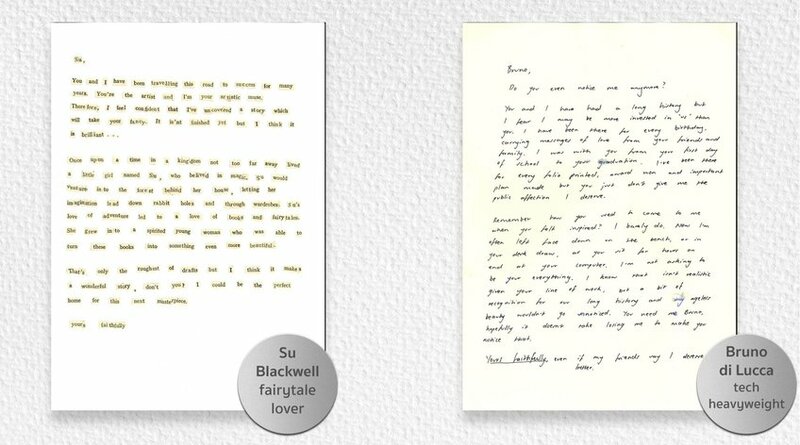 Yours Faithfully challenges this notion in the form of a 'soul-tie' from paper: a personal, hand-crafted letter. 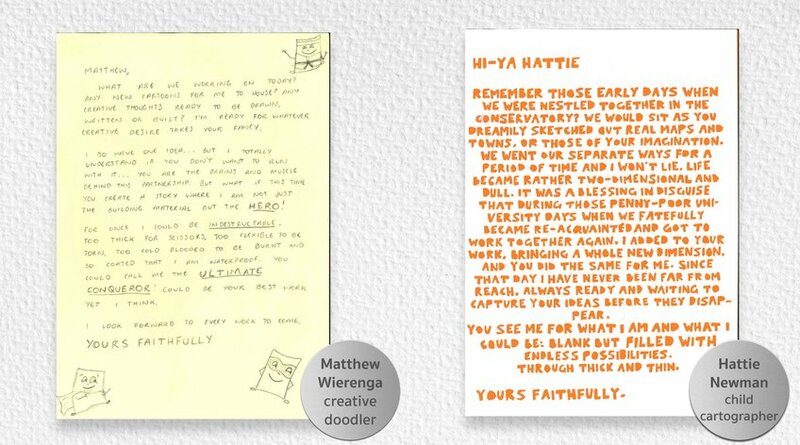 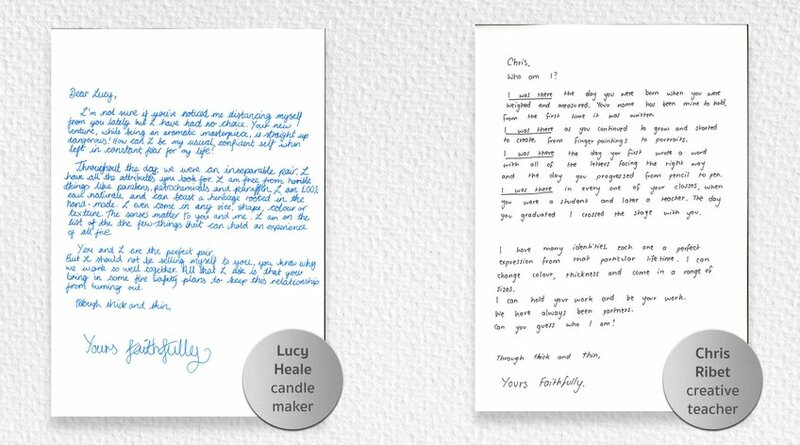 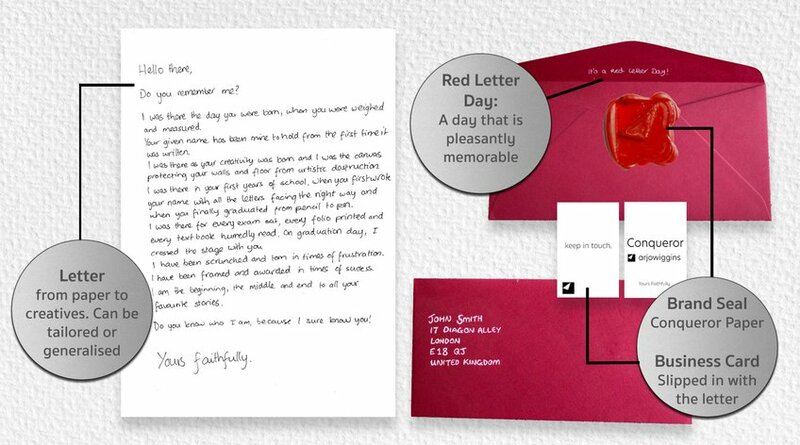 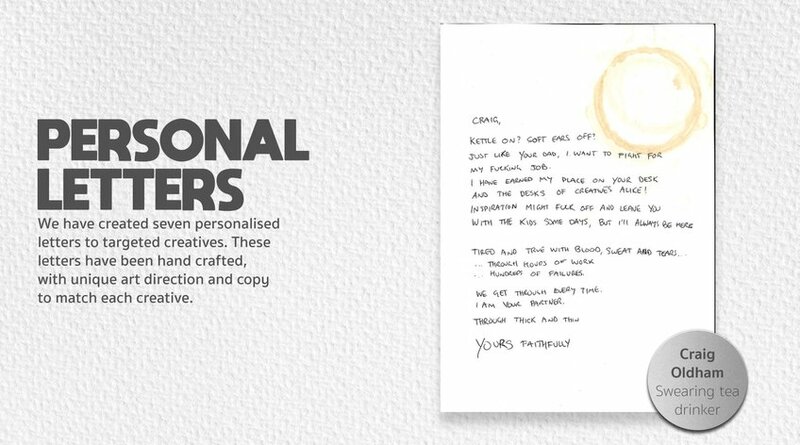 There are two letter templates: a general letter which can be sent to any creative’s desk and the personalised letter, individually crafted and written with a specific person in mind. 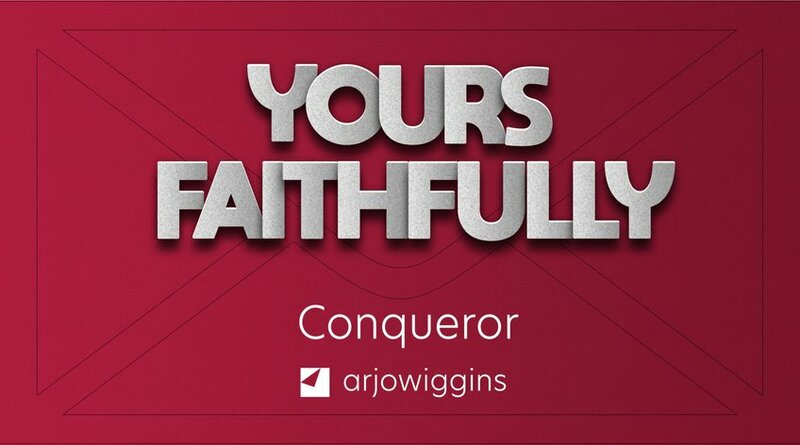 Each one is signed 'Yours Faithfully’. 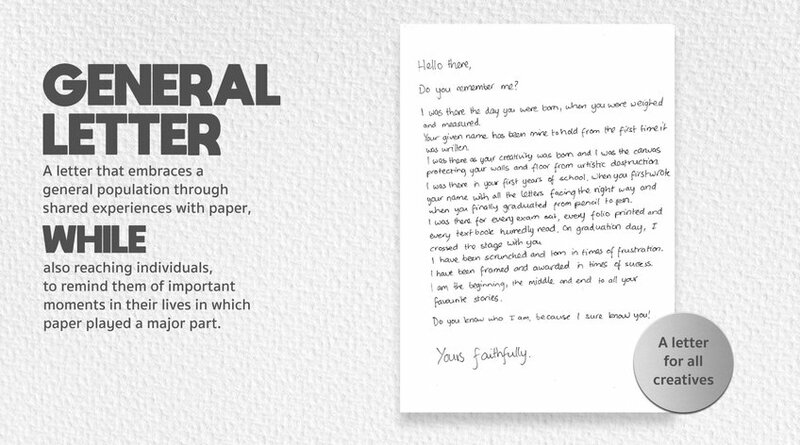 The Yours Faithfully campaign aims to reconnect creative practitioners with the neglected importance and versatility of paper by reminding them of the bond that already exists.